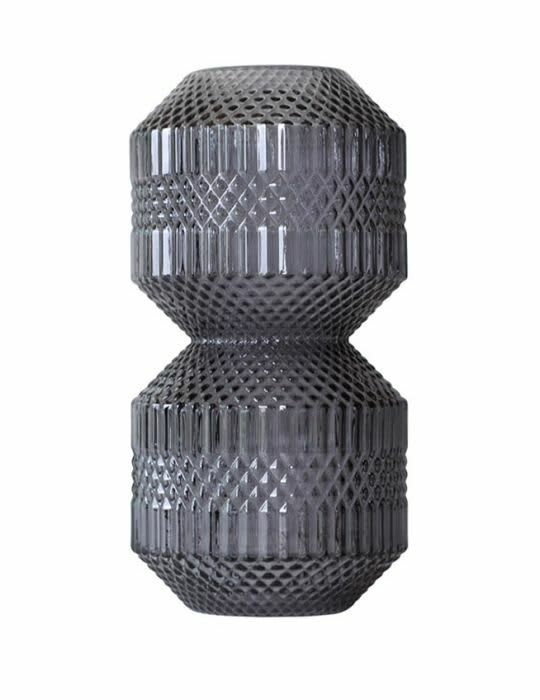 Specktrum Roaring Vase Stacked grey is a detailed glass vase with a great number of possibilities. The delicate and dainty glass pattern combined with the grey color provides a unified expression. Use it for showcasing beautiful flowers or green branches.